This chain block for September forced us to work with curves and lots of smallish pieces. It was pretty intimidating, but with patience (and a lot of pins, at least on my block) we conquered those curves for these cool, modern blocks. 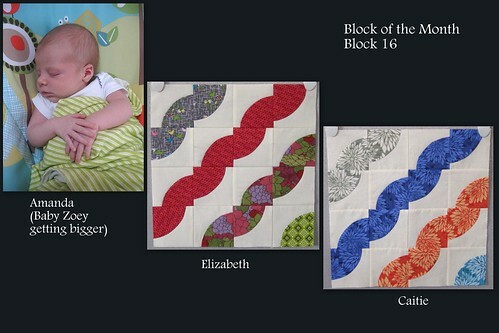 Luckily for us, the same curved blocks appear in Block 17, so watch for an upcoming post on that one.